Andrea Saterbak, MD, is a board certified orthopedic surgeon who specializes in knee and shoulder conditions. In particular, she is experienced in arthroscopic approaches to ligament repair/reconstruction, cartilage preservation, and joint replacement/arthroplasty. Her focus on sports medicine sparks her drive to provide all of her patients with the best care possible for them. Her continued affiliation with the Steadman Clinic in Vail, Colorado, and her membership in the national sports medicine society, AOSSM, strengthens her continued education in sports medicine. She currently provides care to local sports teams including Stillwater Area High School (Stillwater, MN) and the St. Paul Saints baseball team. 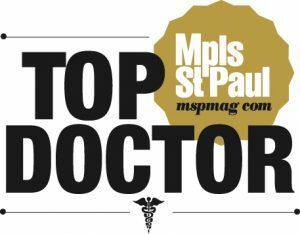 Dr. Saterbak is a multiyear award winner of the Best Doctors Award given by the Mpls.St.Paul Magazine. She is a Pillar Club member of the St. Croix Valley United Way and an honorary board member of Youth Advantage. She participated as an educator in the Hennepin County Medical Center family practice Sports Medicine Fellowship Program. Dr. Saterbak enjoys alpine skiing and travels the World Cup Tour with the U.S. Ski Team as a consulting team physician. She enjoys glacier skiing in areas where fresh, untouched snow awaits, boating, paddle-boarding, mountain biking, golf, and gardening. My name is Amy S. I am taking this opportunity to thank you for all that you did for me. I first met you when you repaired my daughter’s torn meniscus when she was 14. Then, when I injured my right knee, I scheduled an appointment with you. Right away I knew I made the right choice. You were so energetic and positive about my potential for full recovery. You didn’t immediately say I needed to have surgery. You encouraged injections, physical therapy and a brace to see if these less invasive treatments would help. I really appreciated that because it gave me an opportunity to work hard to avoid surgery. I did my physical therapy every day for several months while we worked together, as a team, to avoid surgery. When it was clear that surgery was what I needed, I felt so confident moving forward. I had a right total knee replacement on 1/17/1018. You and your amazing staff educated me about continuing my physical therapy and losing weight in order to have a full, successful recovery. Well, I listened and got professional help to lose weight. I started seeing Natalie at the Hennepin Healthcare Golden Valley Clinic. I have successfully lost over 50 pounds! I do not take any Ibuprofen or Tylenol anymore. I have no morning stiffness. Not only am still doing all my exercises, now with weights, but I’m also walking 10-15 miles a week and swimming. When people tell me how great I look, I tell them I feel better than I look! Thank you and all your staff again for your amazing work and the care you gave me. My first experience with Dr. Saterbak was in 1999 for the repair of my left ACL. We crossed paths again in 2005 for a right ACL. In the meantime, the progression of osteoarthritis was being monitored in my left knee. I had gone through medications and variable injection treatments. I felt I had come to the end of the road in the fall of 2016 with the amount of pain persisting in my left knee. At that time, a visit to Dr. Saterbak resulted in an appointment to thoroughly investigate the possibility of a total knee replacement. All evidence pointed to that procedure and it was then scheduled for March 2017. The whole procedure was to be performed as part of TCO’s EXCEL Program. The intro to final PT program that covered all aspects of the replacement and lifted concerns of outcomes. Blue Cross Blue Shield had no issues with the funding. That was huge! Additionally, I felt as though I was number 1 on the list with the work that went into my case – the pre-op, surgery, post-op, follow-ups and PT. Count me as a satisfied consumer of the program. I have only good things to say about the EXCEL Program and my knee replacement done by Dr. Saterbak. The program is brilliant. I had a setback after a couple months but all was covered. Thank you! Thank you very much for your treatment yesterday Dr. Saterbak. There is a vast, marked improvement to my knee today. Thanks again!!!! In 2013 I was seeing a Physical Therapist to help me with pain I had in both knees, I was using a cane to walk. It became obvious that therapy was not helping my knee pain. So my Physical Therapist advise that I get a referral to have Dr. Andrea Saterbak see me. Her recommendation was based on her personal experience with post-surgical patients of Dr. Saterbak that became her PT clients. She noticed that these particular clients seemed to have less post-surgical issues and seemed to respond better and quicker to therapy then some of her other clients. I felt very encouraged by her recommendation that I was going to see a good orthopedic surgeon. My initial consultation visit was a good experience, the clinic (Lake Elmo) was very nice and the staff extremely friendly. X-rays of both knees were completed quickly and Dr. Saterbak came into my room in just a matter of minutes and introduced herself. What impressed me immediately about Dr. Andrea Saterbak was her humble confidence. Dr. Saterbak went over the x-rays with me by explaining what I was seeing in the x-ray (bone-on-bone) and how that equated to my knee pain I was experiencing. Knee replacement was her recommendation and how the surgery would give me back quality of life, however, I was not ready at that time to do the deed. Dr. Saterbak patiently listened to my hesitations and fears about surgery and did not pressure me in the slightest to get the surgery done. What she advised was several rounds of cortisone shots in each knee to help with pain while I took the time I needed to decide when I would have the knee surgeries. Dana Kaufman, Physician Assistant would give me the cortisone shots when I needed them, at every visit she would patiently answer any knee replacement questions I had, listen to my fears regarding surgery, she was kind, caring and encouraging, and always gave me something to think about after my visit. Dana is awesome! It took me 3 yrs. to finally decide it was time to do the surgeries, at my last cortisone shot, I told Dana to make a surgery date, I will never forget her response, when she realized that I was serious, she jumped off her chair and found Dr. Saterbak, when Dr. Saterbak came into the room, BOTH of them were so happy that it was finally going to happen! May 15, 2016, was my first knee replacement, followed by my second knee replacement September 22, 2016. Dr. Saterbak and Dana Kaufman are the BEST surgical team you could ever hope for, the surgeries went very well, my recoveries went extremely well and Dr. Satebak and Dana were with me every step of the way. Woodwinds hospital was where I had both knee replacements, everyone at Woodwinds were just fantastic, the entire knee replacement experience was wonderful. Words cannot express my deep appreciation for Dana Kaufman and Dr. Andrea Saterbak and what they have done for me. They are an AWESOME surgical dream team and I would recommend them (and have!) in a heart-beat to anyone contemplating knee replacement for themselves or loved ones! My daughter, Alison, tore her ACL 13 months ago in an AAU basketball game. It was a violent collision that left Alison wondering if she would ever play basketball again. This was very traumatic for her because she was a highly rated player with a number of potential scholarship opportunities. Her initial diagnosis was incorrect and, with the urging of college coaches that were recruiting her for basketball, we decided to get a second opinion and MRI which revealed a complete ACL tear, bone bruising, sprained MCL, and some cartilage damage (did not know the extent at the time.) The first surgeon said she had two choices: no surgery and attempt to play her senior season and not play in college, or have the surgery and miss most, if not all of the season, but be ready for college. On top of that it would be almost a month before he could operate. This was heart breaking news and left Alison in very poor spirits. Her White Bear Lake High School team was returning most of the players from the previous year and was the favorite to return to the state tournament the following spring. She was determined to have the surgery and still play her senior year. We decided to look at other options and fellow athletes recommended Dr. Saterbak. We met with Dr. Saterbak on a Friday and she had surgery the following Wednesday! Alison smiled for the first time in weeks after that meeting. Dr. Saterbak could see no reason she couldn’t return to play that season and would do everything she could to help her. We targeted January as a return date. The surgical care at High Pointe was top notch and the surgery was successful with no further cartilage damage found. Alison then started the long road to recovery. The summer was tough as she followed her AAU basketball team around including going to Cincinnati over the July 4th. Her quad still was not firing so she still struggled getting around, however, in Cincinnati it finally fired and Alison was now able to walk and begin the next step of rehab. At this time January seemed a long way off. With that in mind, Dr. Saterbak and her physical therapists still thought that was an attainable target. With their help, Alison dove head first into her recovery and began making extreme strides. Amazingly, she passed all her physical tests in October and set her sights on returning for the very first game in late November! After consulting with her doctors, she was cleared to start practicing in early November and did start the first game of the season. She made the all-tournament team. Alison’s minutes were managed by her coach during the regular season to save her for the end. While she had some pain in the knee, it never really swelled and was very stable. Late in the season she was undercut and landed directly on the repaired knee, causing her to miss some games at the end of the season. We met with Dr. Saterbak and it was determined that the ACL knee was tighter and stronger than the good knee and we were hopefully she could play in the playoffs. Alison returned to help her team to the State Tournament where they beat the number two ranked team in the state and finished fourth! She topped it off by making the All-Tournament team and was selected to play in the State All-Star Game. She also accepted a scholarship to play basketball at the University of Minnesota – Duluth. We have no doubt that none of this would have been possible without the care and direction of Dr. Saterbak. Her willingness to help Alison recover this season played a huge role in her return. We are now a year out since the initial surgery. Alison is pain free and no longer wears a knee brace and has complete confidence in her knee and the work of Dr. Saterbak. After struggling for several years with increasing knee pain due to arthritis-driven meniscus wear (exacerbated by my avid pursuit of adult league alpine ski racing), I decided to have my right knee joint replaced. Dr. Andrea Saterbak was repeatedly recommended to me by local ski team coaches and other racers, and when I learned that she did a fellowship at the Steadman clinic in Vail, that she was affiliated with the US Ski Team, and that she was a ski racer herself, I knew she was the surgeon for me. Andrea listened carefully to my goals for the surgery and without sugar-coating the level of effort that would be involved in the recovery, provided the confidence I needed to move ahead. I selected the out-patient option at the High Pointe Medical Center, and was home by 3 p.m. the day of surgery. As predicted, the recovery is a much slower, longer process, but the post-operative support and physical therapy included in Dr. Saterbak’s practice were instrumental in getting me back on the snow. At 6 months post-op I was waterskiing and wake surfing. At 9 months post-op I resumed ski racing (at about 80% speed). Make no mistake – full healing is taking a long time for me. It’s been 14 months since my surgery, and the new knee still is not pain-free, but the discomfort has gone down steadily since the surgery. I’m sure that by the time my second post-op ski season starts this fall, I’ll be back at full speed. Based on my experience surrounding the procedure and my return to the sports I enjoy, it’s easy for me to recommend Dr. Saterbak and her practice colleagues to others. Thank you, Andrea! My AMAZING experience started from scheduling my appointment via phone with her staff. They had her booked until Thursday, a whole week out, but they were aware of my pain and urgency and got me in the next morning to see her to get my knee checked out. I arrived to my appointment the next day 50 minutes early which I let the staff at the front know I was early and no worries. I no more then sat down after doing my paperwork, and out comes a lady to take me back already! I was shocked! I got into the room, explained everything and they started taking images right away! The flow was going amazing, each person super friendly, and service crazy good! I finished images and took me back to my room which not much longer in pops Dr. Saterbak and her assistant! I was again shocked, As most places I am used to waiting forever in the room for the Dr. She did her exams and tests and she resorted her whole schedule out to fit me to go get an MRI right away this morning and find out today the results with her shuffling surgery and other patients and me to get everything done hopefully by 2pm today. I was super thrilled and agreed of course. I got approved for my MRI in less then a minute, got walked down there by super friendly staff member, and paperwork completed right away. After that, I was greeted by an awesome friendly MRI technician! He went through everything with me, locked my stuff up, and made me comfortable and it went super fast! When finished he helped me up and walked me back down to Dr. Saterbak‘s unit to be seen right away! I was planning to see her around 1:30pm and it was around 9:30am and I already had images, test, MRI, and results ready to be told to me!! I was blown away by the speed and efficiency to make this go so smoothly! I got the results and scheduled surgery right away. All I can say is, I won’t recommend anywhere else, nor anyone else! This place actually made me feel at ease and comfortable which is hard to find places like this, but I found mine! I couldn’t say enough about the staff there and Dr, they were superb, hand offs to each other were so smooth and friendly, and they are true experts at what they do! The Dr., she is amazing and super knowledgeable supported with an expert team! I am truly happy and blessed to have been so lucky to find her. I will recommend everyone here and share my wonderful experience with everyone! Thank you all!! Abbey Ristow nervously waited for her appointment with Dr. Andrea Saterbak at St. Croix Orthopedics. She had injured her knee in a high school basketball game and knew that her upcoming track and field season hinged on what the doctor had to say. As a senior at Ellsworth High School, she didn’t want to miss the rest of basketball season. More importantly, she was the favorite to win the Wisconsin state discus championship and track and field season was just months away. She had missed the state title by only inches the year before, and she wanted one last shot to claim the championship. As the nurse called Abbey’s name, she knew her dreams and goals hung in the balance. Anita Limbach didn’t realize the extent of the degeneration of her knees until after her bilateral knee replacements were complete. A six-year battle with Rheumatoid Arthritis had left her nearly crippled and in severe pain. The beginning of her journey back to the life she had once enjoyed started with a simple conversation with her neighbor. With encouragement from friends who had new knees, she sought the advice of Dr. Andrea Saterbak at St. Croix Orthopaedics. Anita recalls the whole experience as a good one and she said she felt exceptionally well taken care of. Following the surgery, she couldn’t believe how wonderful it was to stand on her now-straight leg. That feeling surpassed her expectations. Anita was able to stay with her daughter and have help during her recovery process. She healed very quickly and was delighted with the results. At her two-month appointment with Dr. Saterbak, Anita expressed eagerness to have the second knee replaced as soon as possible. Dr. Saterbak was “so positive and encouraging,” Anita recalls. Today, Anita is living life with a renewed appreciation for the simple things in life: walking up and down stairs, no more chronic pain and easily tolerating the cold Minnesota winters. She said she used to love to cook, but gave it up when the pain became too great to stand in the kitchen. “My new knees have given me back a life I had forgotten about,” she said. “I didn’t realize until I had my new knees how much I had really given up.” Anita is once again enjoying cooking – and her friends say they can’t believe the difference it has made in her appearance and her outlook. Anita is able to stand up straight again. Anita is busy making new memories instead of just wishing she could. She had given up traveling; but now, with her new knees, she’ll be able to visit her son in Colorado. And after years of not being able to walk on the beach at Madeline Island, Anita is able to once again enjoy her morning stroll. Blowing out your ACL is no laughing matter for anyone – athlete or not. When you and your twin sister are rising high-school soccer stars, a torn ACL can be a devastating injury. But two torn ACLs is doubly devastating! Unfortunately, that was exactly what happened to Danielle and Diana Wies. Danielle was the first to injure her knee playing soccer. After her recovery from knee surgery (performed by Dr. Andrea Saterbak), she was cleared to play again. A mere six weeks later, her twin sister Diana suffered a similar knee injury – which also required surgery. Having been a competitive athlete herself, Dr. Saterbak understood the girls’ competitive drive, and was able to get them back on their feet within days after their surgery – and off crutches in a matter of weeks. The staff at St. Croix Orthopaedics was instrumental in getting these athletes back to the soccer pitch. “The SCO staff was very positive and cheerful,” Diana explained. “They joked around with us and made us feel comfortable.” Both sisters’ knees have been problem free ever since – and the girls are back playing their sport. The Wies twins recently finished their final soccer season at Mahtomedi High School. The team was ranked 10th in the nation and are Minnesota State Champions. Danielle was named All-State and All-Conference goalie and Diana was a member of a summer club team that also earned state-champion honors. 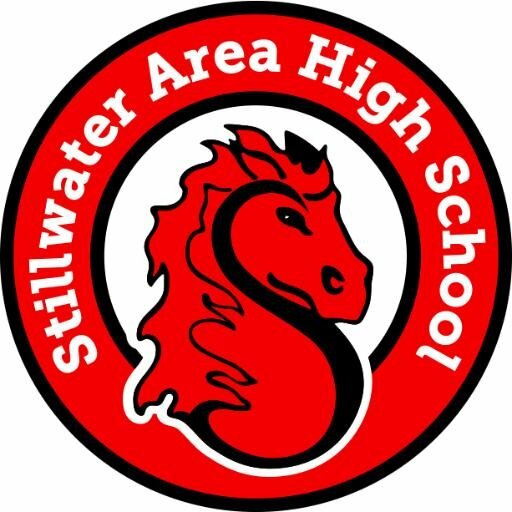 There is apparently no rest for the twin high-school seniors, as they’ve both been recruited by Division I colleges to play soccer. They are currently training for their upcoming season at the College of St. Catherine’s in St. Paul, Minnesota. There, the twins will not only be teammates, but study partners as well. Both plan to become physical therapists.